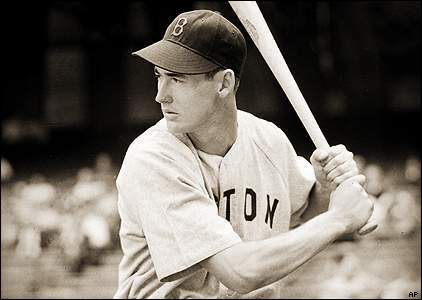 Will Spease Lift Elk Grove Planning Commissioners Batting Average to .500? When Kevin Spease entered the 2016 mayoral race, he became the fourth Planning Commissioner to seek a seat on the Elk Grove City Council. Through those first three races, the commissioners are batting .333 - an excellent batting average in the Majors, but not so in politics. The first commissioner to run for the city council was current City Council Member Pat Hume, who ran against incumbent Rick Soares in 2006. Aided by a campaign war chest that generated over $100,000 in donations as well as matching funds in independent expenditures, Hume overwhelmed Soares and was easily elected. 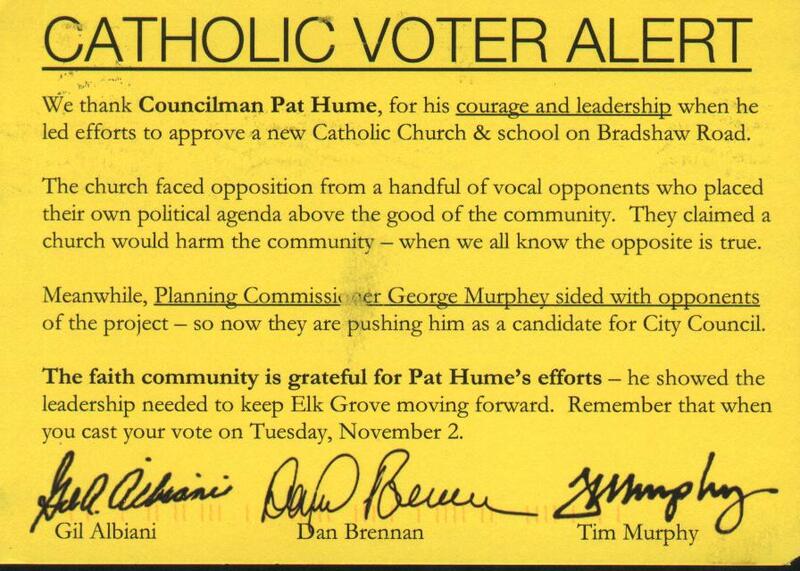 Four years later, the former planning commissioner Hume was then challenged by current Planning Commisisoner George Murphey. Hume, who held a significant financial advantage, was aided by a third candidate who many felt siphoned votes that may have helped Murphey. in Elk Grove as well as being minors. 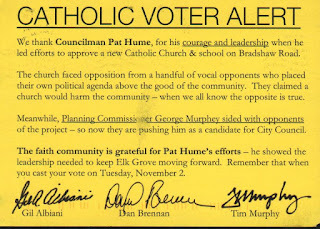 More damaging for Murphey was a group of Hume supporters which included, coincidentally, former Elk Grove Planning Commissioner Tim Murphy and current Cosumnes Community Services Director Gil Albiani, that sent out the so-called "Catholic Voter Alert" hit piece that landed in mailboxes the weekend before the election. 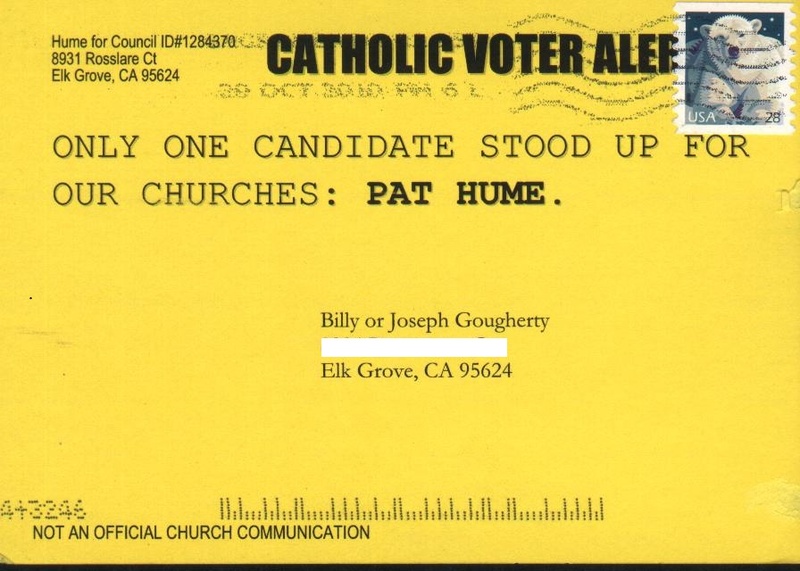 The mailing list, which contained names of children was acquired by Murphy and his group from St. Joseph's Catholic Church in Elk Grove by questionable means and targeted Murphey for his vote against approval of St. Marie Goretti Church in the city's rural area. In 2014, Nancy Chaires ran for the seat that was vacated by Mayor Gary Davis when he became the city's first directly elected mayor in 2012. Chaires initially sought appointment to the seat in 2012 and was supported by Davis and then Council Member Jim Cooper. After two other members of the city council, Hume, and Steve Detrick, dead-locked the appointment, Davis, against the wishes of Cooper, agreed to the compromise appointment of former Elk Grove Unified School District Superintendent Bob Trigg. As a compromise, Trigg promised not be a seat holder until the 2014 election. 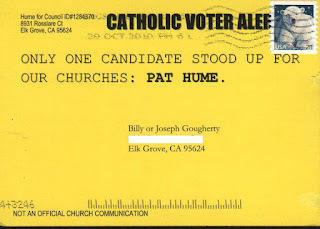 Interestingly, once Chaires entered the 2014 race, Davis threw his support to current Council Member Steve Ly. Determining the reason Davis abandoned Chaires for Ly, who won in a four-candidate race, is still something of a parlor game in Elk Grove political circles. In yet another strange twist, Chaires was appointed to the seat that Ly had been elected to on the Elk Grove Unified School District Board of Trustees in 2012 that he abandoned upon his election to the city council. A sort of political musical chairs happened. As history has shown us, each of the three city council races involving planning commissioners has been subjected to some interesting subplots and interesting turn of events. We cannot help but wonder if Spease will be able to lift the batting average of planning commissioners to a .500 batting averages, and regardless, what unexpected events will occur in this race.